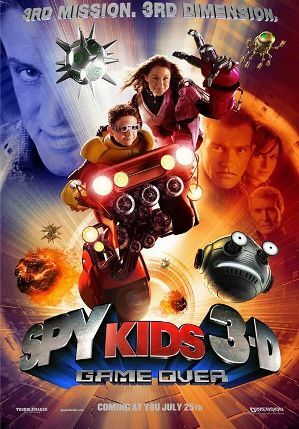 The Spy Kids series was a major hit in the early 2000’s. It depicts the lives of the Cortez family: husband and wife, Gregorio and Ingrid, and their two children, Carmen and Juni. Gregorio and Ingrid work for the OSS (the Organization of Super Spies), and because of this they are constantly under attack from enemies. 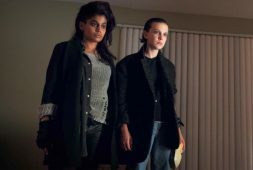 The series follows the adventures of Carmen and Juni – who learn to fight in the first movie when their parents are captured. 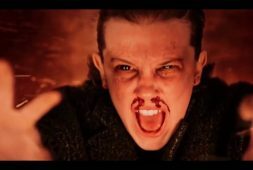 The series unravels as the children grow in their spy-like capabilities, leading up to the third and final movie in the series. In this specific film the Cortez family must face their toughest mission yet: save Carmen, who is stuck in a virtual reality game designed by the evil Toymaker. Juni takes on the challenge to save his sister – and ultimately the world. We see a significant theme of forgiveness weaved in the underlying layers of the plot. Having become a paraplegic because of the Toymaker, Grandpa Cortez gets involved in the fight. Grandpa goes to confront the Toymaker. Naturally, the Cortez family all assumes that he is seeking revenge. When you’ve been hurt, what feelings rise up inside you? Do you feel like forgiving the person? Listen to this statement: The way we respond to that hurt determines how successful we’ll be in life. Do you agree or disagree? Explain. In the scene discussed, it’s obvious that Grandpa had a right to be mad at the toymaker. But he wasn’t. Why not? Do you think that he would have been better off being mad and trying to get revenge on the toymaker? Why or why not? By choosing to forgive the Toymaker, Grandpa was “free” from all bitterness and anger. He didn’t allow himself to be a slave to bitterness. Why do we sometimes allow bitterness to enslave us? According to the verse—what things are we supposed to get rid of? Can you think if there is a way that you can apply this in your life this week or this coming month? Forgiveness is setting a prisoner free, but what if that prisoner is not necessarily the one being forgiven – but you? We’ve all been hurt by someone before. But we always have the opportunity to forgive that person. Forgiveness includes your desire to allow your enemy to be free. When you truly forgive someone, you not only become free yourself, but you allow them the chance to be freed of their guilt. And that is true grace.